My friend Jay over at The Candle Enthusiast alerted me when The Dirty Goat offered some new deodorant scents for a limited run and I hustled myself on over and picked up one of each. Thanks, Jay! 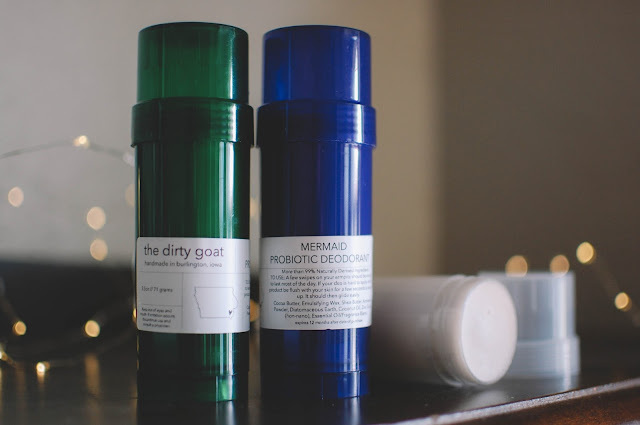 The Dirty Goat does offer probiotic deodorant in Rose, Yuzu and Vetiver most of the time but Mermaid, Coconut Milk and Tonka Bean were ones I really wanted and could see myself wearing most of the time. They ran $9.85 each and arrived in great condition. I was a little worried about melting since it has been hovering around 100 degrees of late, but everything was perfect. Tonka Bean smells incredibly snuggly. Warm almost sandalwood toned vanilla bean pods and musk. It is a medium light projection and strength so it won't overwhelm your perfume choice of the day. After about 3 hours of wear I cannot even detect it when I do the pit sniff test. Mermaid comes on a bit stronger than Tonka Bean. It smells like the most summery version of vintage Coppertone ever. Beach front scents of sand, sun and salty air and water meshed with jasmine and white florals and a touch of sunscreen. I love it. Perfect for summer. 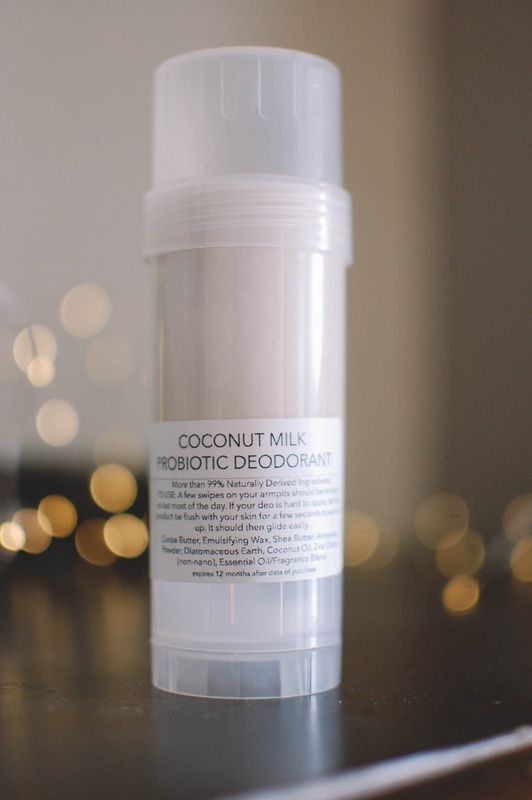 Coconut Milk is a balance of Mermaid and Tonka Bean, not too soft and not too flamboyant. It shimmers with sweet coconut and vanilla and maybe the barest hint of other tropical fruits and greenery. The texture of these deodorants is a bit more soft and pillowy than the Handcrafted Honeybee ones I have been using. I have to rub in the white creamy glops it leaves behind to better spread the deodorant evenly and keep from having balls of stuff under the pits. Jay did mention cooling and solidifying hers in the fridge as an option but I am a super huge weirdo and hate putting anything non edible in the fridge. Call it a quirk. But it may be an option for you if you have these. The texture is not enough to give it a negative mark but it is a step I don't relish doing. I find for the most part these last about 4-5 hours on me until the effectiveness starts wearing off and I have to reapply. Just shy of the full day that the other brand I am using gives me. The scents, packaging and 99% natural ingredient list makes me very happy. 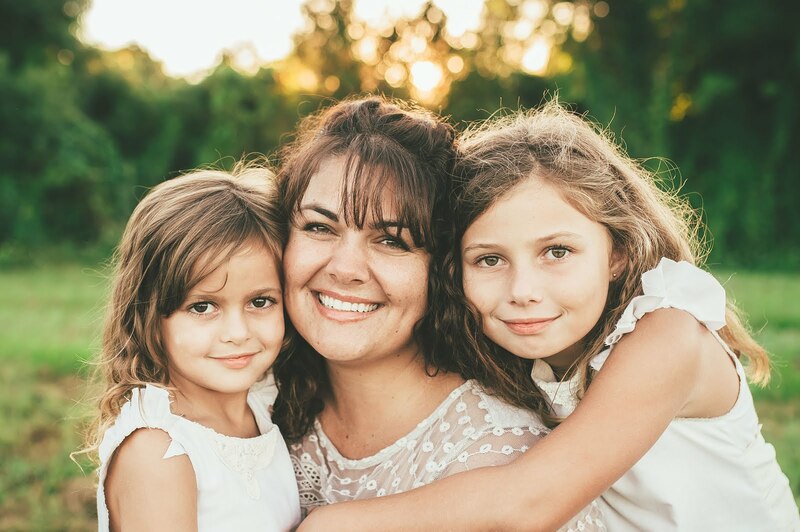 I enjoy using these and will continue to both day and night and supplement with the Handcrafted Honeybee on days I am working out and need the stronger option. These have a shelf life of one year. Between these three full sizes, my full sized Honeybee and three travel sized ones, I am set on deodorant for at least a whole year. If not more. I look forward to exploring more of The Dirty Goat's offerings. High quality ingredients, hand crafted creations, stellar branding and packaging and great customer service are all hallmarks of the company. Do you have any Dirty Goat favorites? Thanks for the review! I often wanted to try a more natural deodorant, but I'm hesitant. I'm definitely one of those girls that needs a heavy duty deodorant...Lol! Thank you! Delving into natural deodorants is an... adventure. I tried a few store bought ones and a few indie versions without too much success in the past but the past couple I have used have indeed turned out to be better and I feel better knowing I am doing my body this one small thing. There is an adjustment period... I won't lie! But I think I am finally at a place where I feel comfortable with the brands I have on hand. Aw yay, Julie! I was also nervous for you on the condition of the deos upon arrival. Happy to here they came in perfectly. 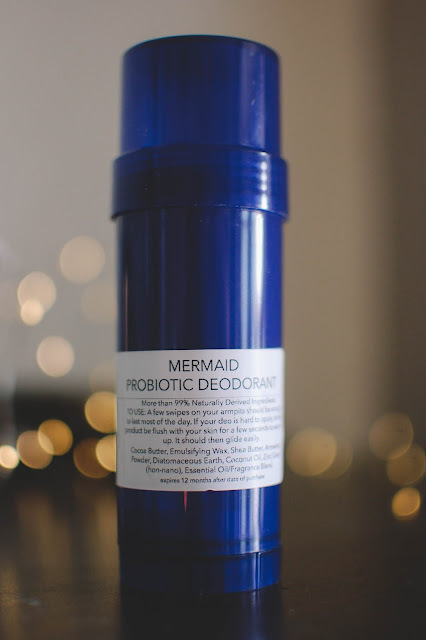 I am head over heels for Mermaid myself, it's so fresh and floral, perfect for a deodorant. 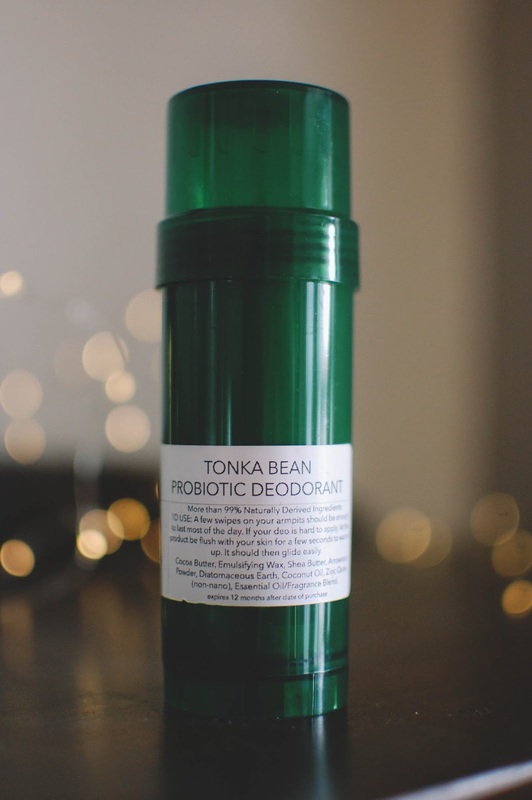 I'm saving Tonka for this fall and though I thought I'd love Coconut Milk, it smells a little bit sour to my nose, I'll have to determine if I like it when I wear it. I know what you mean about the messiness, I've had to do the shmear myself, the refrigeration has been a lifesaver for me and it's likely more natural than half the stuff already in my fridge. I mean have you ever read the ingredients on a can of whip cream? Ooh but its so good though;) I'm so glad you were able to jump in and try these, wear them in good health! My next TDG to-try is the Honey hair detangler if I can snag one, quickly becoming a favorite vendor. Mermaid is a real beauty! I love the strength of the the scent too. I have been slathering them all on and enjoy each one. Hoping that coconut works out for you in the end. LOL! I totally get you on that one. Sadly, no cans of yummy whipped cream in my fridge. I have been on track so far! Yay! Thank you for this indie rec! I am loving The Dirty Goat and hope to try more of her wares. Hopefully you can get that detangler. Her toner keeps calling to me. I am almost out of mine.